Solar photovoltaic cells (also called PV cells or panels) generate electricity through harnessing the energy of sunlight. The stronger the sunshine, the more electricity is produced. They provide a green and renewable way of powering the appliances in your home. And are currently an exceedingly good financial investment – read on! PV cells come in a variety of shapes and colours, from grey ‘solar tiles’ that look like roof tiles to panels and transparent cells that you can use on conservatories and glass. The lifetime of solar PV panels is about 25 years. The strength of a PV cell is measured in kilowatt peak (kWp). That’s the amount of power the cell generates in full sunlight. The amount of electricity generated is measured in kiloWattHours (kWh – the units used on your electricity bill). What’s the big deal about them at the moment? The government has introduced Feed-In Tariffs (FIT) to encourage homeowners and companies to install PV panels. Energy companies will pay homeowners a fixed amount for each unit of electricity generated irrespective of whether the homeowner then uses that electricity or exports it to the grid. Payment will continue for the lifetime of the panels. With the current price of PVs and the FIT it is possible for homeowners to make about a 13% annual return on investment. So that’s payback on the initial cost of the installation in less than 8 years and then profit for the next 17 years (at least) of the installation’s lifetime! However, the FIT for panels installed after April 2012 is going to drop. The rate will still make the installation of PVs a good financial investment but not as good as it is now. So people need to ACT QUICKLY to achieve the highest financial return. A good price for a PV installation is about £3000 per kWp. Domestic installations usually range from about 1kWp to 4kWp. Each kWp should generate 850kWh* over a year. The electricity company will pay 43.3p/kWh generated. The homeowner additionally benefits by saving on bought-in electricity (~12p/kWh) and being paid an additional amount (3p/kWh) for each unit exported. A generation meter is fitted to measure how much electricity the panels generate. After that the electricity company usually estimates that people use half the electricity generated and export the other half to the grid. So that’s payback in about 7½ years (£3000/£405) or it can be thought of as a 13% annual return on investment. PVs are a sound investment both financially and environmentally. However, the amount of money needed for an installation is out of reach for many families. Additionally, families who rent rather than own their homes will probably not be able to get a PV installation. Some people are under the mis-apprehension that you have to have a south-facing roof to make solar panels pay. You do get slightly reduced returns, but any pitched roof situated between east and west (through south) will make the investment financially viable. For a SE or SW roof, total energy generation is about 95% whilst for an east or west facing roof, total energy generation is about 80% of a south facing roof. 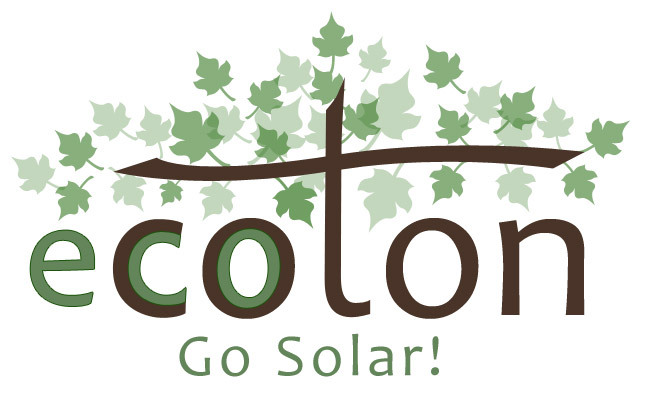 The eCoton team want to see more solar panels in Coton. To enable this we are working on two schemes to make it easier for people to invest in solar technology. The first scheme is a bulk purchase group organised by the eCoton team open to homeowners in the South Cambs villages. We will gather together a group of 50+ households to give us good negotiating power with installers. We are currently screening installers to select a reputable company that will give the best price for individual domestic installations. This will ensure system payback for participating homeowners in less than 8 years. Secondly we are going to launch a community-owned scheme so that Coton residents can invest in PVs but for smaller amounts of money. The community pot of money will purchase either a single large installation or rent roofs in the village for smaller installations. Roof owners would benefit from free electricity whilst the community company would benefit by receiving the Feed-In Tariff income. Villagers would effectively be shareholders in a small-scale power company and would be paid annual dividends. We need to act quickly to make the most of the investment potential before the FIT lowers in April 2012. You need to sign up for either scheme by the end of September. If you want to be in the bulk purchase group, or participate in the community power company either as an investor or roof-owner or have any queries please email ecoton@hotmail.co.uk or contact Amanda Fuller on 01954 211969. There will be an information meeting in the Village Hall on Wednesday 14 September at 7:30pm. In the meantime if you would like to pursue your own purchase we can recommend the website www.comparemysolar.co.uk. A list of recommended installers can be obtained by emailing ecoton@hotmail.co.uk. * This is the standard figure that companies are allowed to quote in the UK. From experience in Coton, installations here generate more like 900kWh/kwp. ** This figure for saved electricity is based on experience of a family with both parents working. This is lower than the estimation by power companies and is variable depending on home usage. 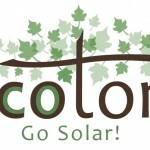 I am interested in joining the Coton scheme for bulk buying solar panels. We have met the area manager of Skyline who may get in touch with you. It would be great if you can get panels for £3000 per kWp. Please let us know how you get on with your negotiations. I live at 19 Church Street, Little Shelford, Cambridge CB22 5HG and am VERY interested in having my house surveyed for solar electric panels and if shown to be practical joining your bulk purchase scheme. Can I join your initiative? Plse let me know. Please note our “normal” email address is “postmaster@rshaines.plus.com”. Dennis is right that the picture has changed radically since our eCoton Bulk Purchase scheme took off last year. From 1 August 2012 the feed-in tariff will drop from 21p per kWp to 16p per kWp for domestic systems, and the tariff will only be paid for 20 years instead of 25. Prices of systems have indeed dropped, so at the moment putting in a system is still a financially sound investment. As for survival of solar panels, there is no doubt that they will still be functioning well after 25 years from installation.